Topics: Restaurants, Janitorial, Hotel/motel, Vacuum Brands, Chef Griddle, & Fryer & Oven Cleaner. 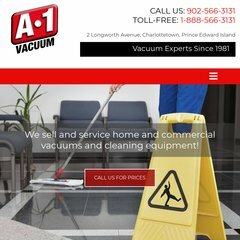 a1vac.ca Janitorial Products & Cleaning Supplies - A-1 Vacuum Sales ..
Idigital Internet Inc (British Columbia, Vancouver) is the location of the Apache/2 server. It has 2 DNS records, ns1.freshsite.ca, & ns2.freshsite.ca. The programming language environment is PHP/5.2.9. PING (65.39.242.91) 56(84) bytes of data. A ping to the server is timed at 56.9 ms.